Rajputana India Tours has designed this 14 Nights - 15 Days Rajasthan Heritage Tour Package keeping in mind the liking and preference of tourists (domestic as well as international) who want to explore the desert state of India. 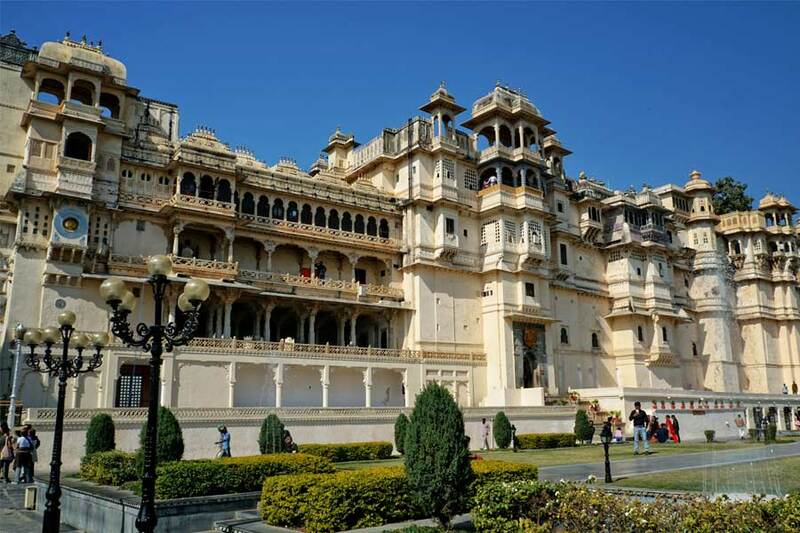 This Rajasthan Tour package covers cities like Udaipur, Ranakpur, Kumbhalgarh, Ghanerao, Jodhpur, Khimsar, Pushkar, Jaipur, Ranthambore, Agra and Delhi. You are going to visit major tourist attractions like Taj Mahal, City Palace, Amber Fort, Jagdish Temple, Fateh Sagar Lake, Amber Fort and many more. Visit major tourist attractions in Udaipur, Ranakpur, Kumbhalgarh, Ghanerao, Jodhpur, Khimsar, Pushkar, Jaipur, Ranthambore, Agra and Delhi in this impeccably designed Rajasthan Heritage Tour Package with arrival at Delhi. Upon your arrival at Delhi airport for Rajasthan Heritage Tour Package, our company representative will meet and greet you. Later you will be board your flight to Udaipur. Upon arrival transfer to the hotel and later in the afternoon we shall be doing boat ride to see this beautiful city with different perception. Return to the hotel for overnight stay. After having breakfast at the hotel, drive to the famous pilgrims spot to Jain religion Ranakpur. Upon arrival transfer to the hotel and later we shall be visiting the famous Jain temple of Ranakpur. 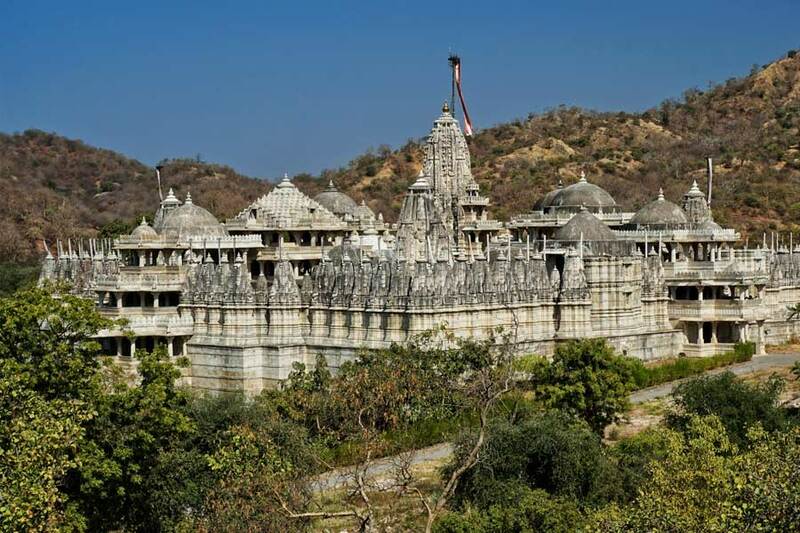 Ranakpur is also one of the five main holy places of the Jain communities. There are over 500 years old temples that are in good condition. The main temple is dedicated to the first Jain Saint, extensive in architecture, is located in a quiet and picturesque valley, deep in the Aravalis, and has 1444 pillars, 80 domes and 29 halls. Every pillar is different and is very beautifully carved. These temples open for tourist only after 1 PM every day. Return to the hotel for overnight stay. After having breakfast at the hotel, we drive hardly 15 minutes to the starting point of our trek. First we walk in the forest. We come out form the forest and hit the road from here we take the pilgrim way and walk up hill to one of the famous temple of Pashuram. In order to reach to the road from temple we have to use the stairs which will take 1 hour. On the way of this trek we shall be encounter to one of the most famous tribe of the area called Bheel who helped Kings of Udaipur specially MaharanaPartap. The whole walk will be approximately 5 hours (Including rest). After finishing the trek we drive 30 minutes to Kumbhalgarh. Later in the afternoon we shall be visiting the magnificent fort of Kumbhalgarh and in the evening witness the light show in the fort. Return to the hotel for overnight stay. Today our walk is slightly longer nearly 06 hours including rest. Today we start early and will be going down the hill for most of our trek. And stop over for lunch at Crocodile Lake. It’s a beautiful lake in the middle of the reserve area, also a paradise for the bird watchers. After lunch we go through some small tribal settlements and fields where we can see the locals working in their fields and the shepherds. Return to the hotel for overnight stay. After having early morning breakfast at the hotel, we start early morning which is always considered as the best time to travel and to take the photographs of the villagers working in their fields. On the way to Jodhpur we shall be visiting beautiful Bishnoi village. This village is marked with beautiful houses, who are famous for their rich cultural Rajasthani life and their true love for nature and wildlife. We will spend nearly an hour to peep into the lifestyle of the village. Later we drive to Jodhpur. 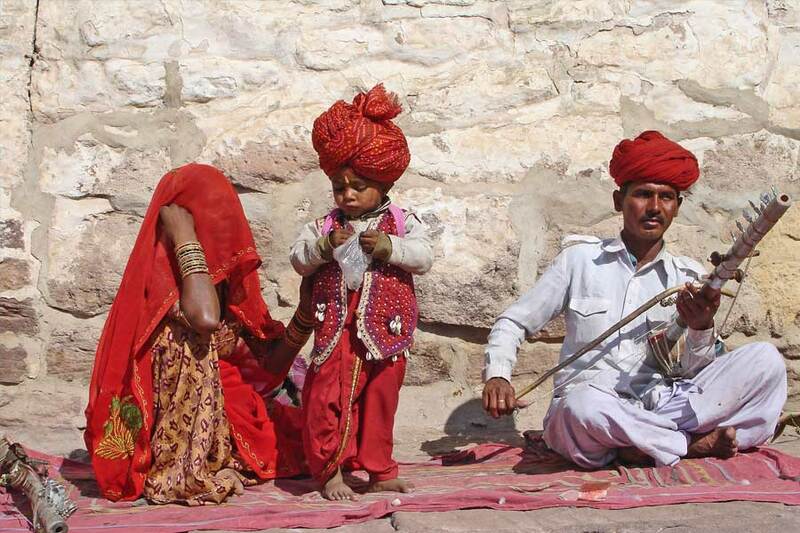 In Jodhpur we shall visit the Forts and the other beautiful and interesting sights of Jodhpur. Jodhpur is one of the great desert kingdoms of old. This is the former capital of Marwar state which was founded by Rae Jodha who claimed descent from Lord Rama. 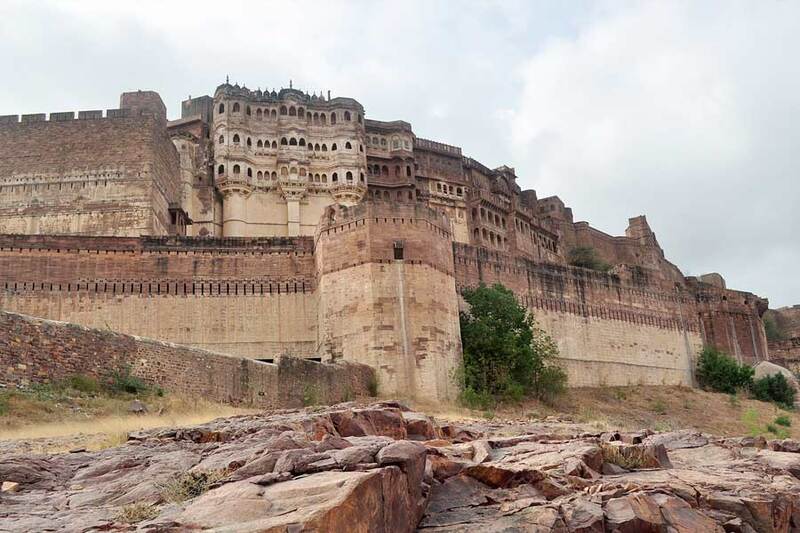 The massive 15thCentury fort-Mehrangarh-came first and around it grew the city Jodhpur protected by a high stone wall with seven gates and countless bastions. 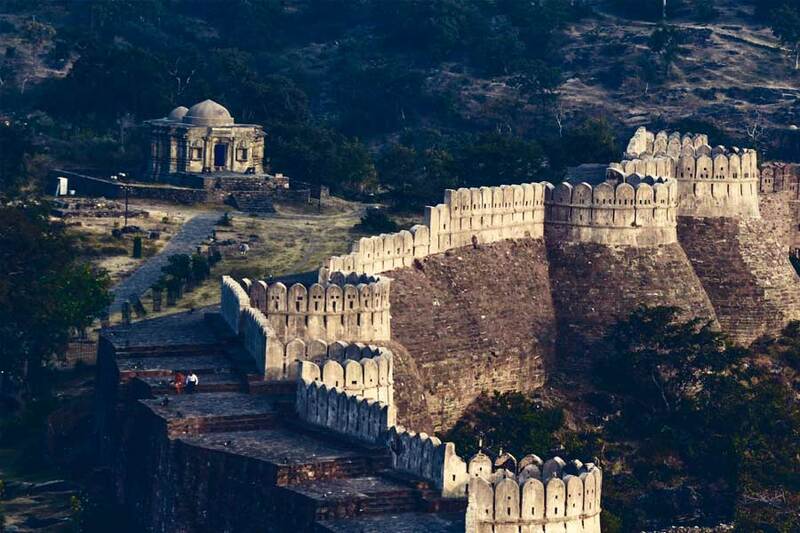 The fort is very impressive spreading over 5 km and looking down from about a height of about 125 meters. Return to the hotel for overnight stay. 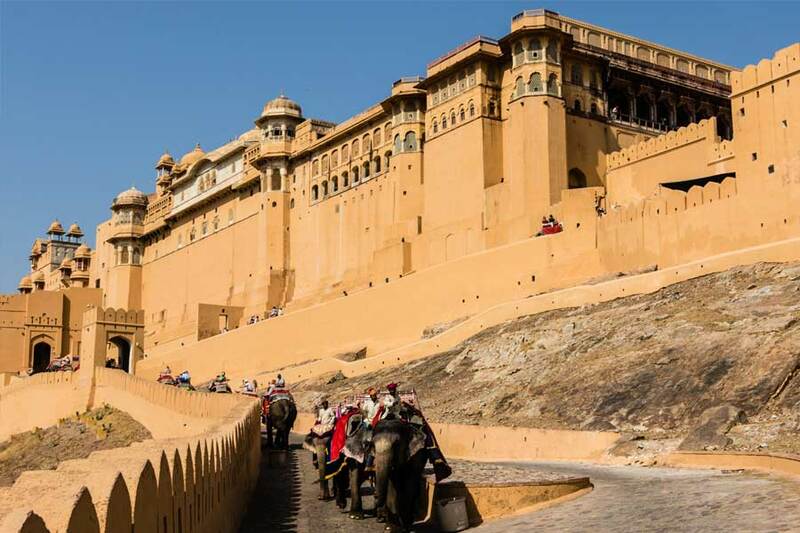 : After visiting Fort we shall make a walk that goes from the Fort to the old blue city the whole walk is going to be nearly of 1.5 to 02 hours through the old houses and the old market of Jodhpur. After breakfast we first drive nearly 1.5 hour to a beautiful village Osian which is well renowned for its ancient temples and their rich craftsmanship. It is also known as “Khajuraho of Rajasthan”. It is the home of some of the ruined Brahmin and Jain temples dating from 08th to 11th centuries. After spending time in this beautiful place we drive another 1 hour Khimsar. Upon arrival we shall check in into the camp/ resort. Later we shall be making a circular walk into remote village of Khimser perched on the edge of the Great Thar Desert. Since 16th century that offers exhilarating experience. The Khimsar nestled amidst sand dunes that seem to roll into eternity. It is truly remote, rural and romantic. Rustic in appearance is consonance with the surroundings. Return to the camp/resort for overnight stay. After having breakfast at the hotel, we will drive to Pushkar. Upon arrival transfer to the hotel and later proceed for the sightseeing. Pushkar, the picturesque pilgrim city nestles among the majestic Aravali hills and is considered to be one of the most sacred pilgrimages for Hindus and is rendered incomplete without a holy dip in a sacred water of Pushkar Lake. The holy land is dotted with over 400 sacred shrines of immense religious importance, the most important being the temple of Lord Brahma which is only one of its kind in India. 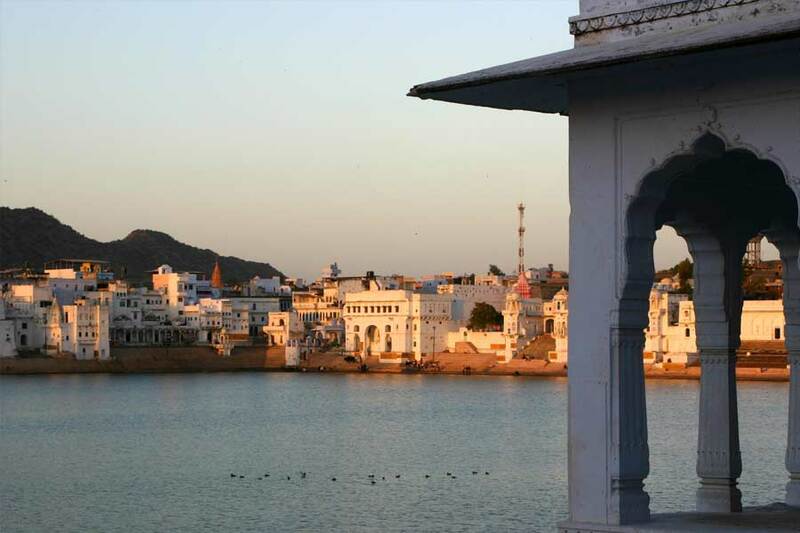 The beautiful Pushkar Lake has 52 bathing places (ghats) around the Lake. This interesting place becomes even more interesting and lively during the annual Pushkar Fair which is the largest Cattle Fair of India and is perhaps the most colorful Animal Fair in the world. Pushkar comes to live during the Fair and the environment is truly electrifying. Men in their colourful turbans and women wearing colourful costumes browse through the roadside stalls selling snacks, sweetmeats, ice crushes, bangles, brass wares, camel saddles and halters etc. the list becomes endless. All roads lead to the sacred Lake and it seems as if a tide of vibrant colours is flowing through the town. Various cultural events like Camel-cart races, horse races, donkey races, are organized which prove to be a great entertaining experience. After the eventful day as the sun sets behind the hills, the entire atmosphere reverberates with the sound of bells and prayers in the temples. At night hundreds of small oil lamps are burnt and placed on the green leaves and floated in the lake after the prayers and the lake seems to be illuminated with lamps. The view is simply mesmerizing and is to be seen to believe. Cultural programmes like folk dances, skits and folk music are also organized in the evenings for the entertainment. Return to the camp or resort for overnight stay. In the morning we shall be visiting Amber Fort. Amber was the ancient capital of the region. Now a deserted complex, it however still recalls it’s hey days in the majestic ramparts rising steeply along the contoured hillsides. Here Elephants still carry visitors in stately splendors to the main Palace through unusually high gateways obviously designed to accommodate this archaic mode of transport. Later we drive 04 hours to Ranthambore. 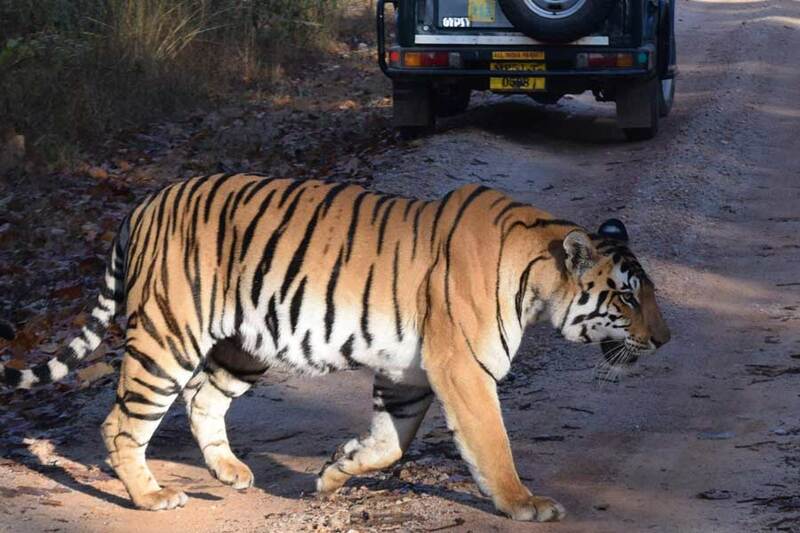 After having early morning breakfast at the hotel, you will again leave for Ranthambore National Park to do morning jungle safari for tiger sighting as well as to have closer look at the natural habitat of various other wild animals. Later after having lunch, you will leave for afternoon jungle safari in jeep. 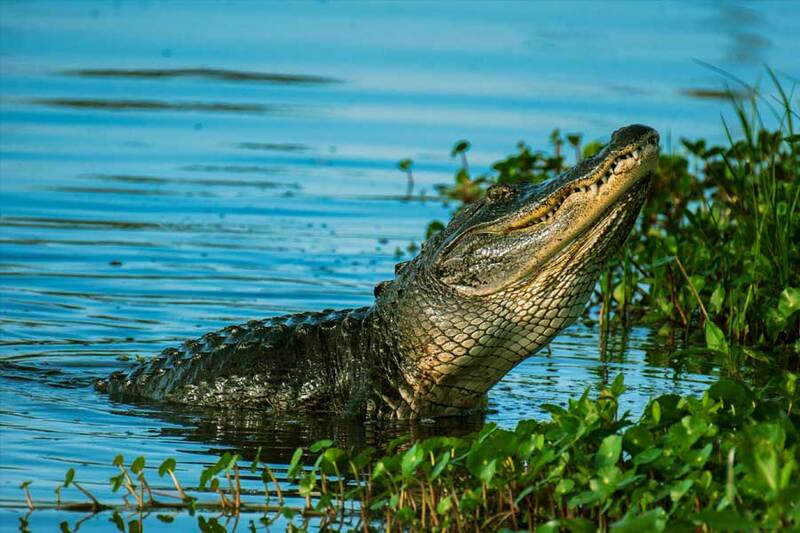 You will have to submit your identification documents, as you will enter this national park for tiger sighting and spotting various wild animals like hyena, sambar, wild boar, leopard, deer and many more. Return to the forest lodge for overnight stay. 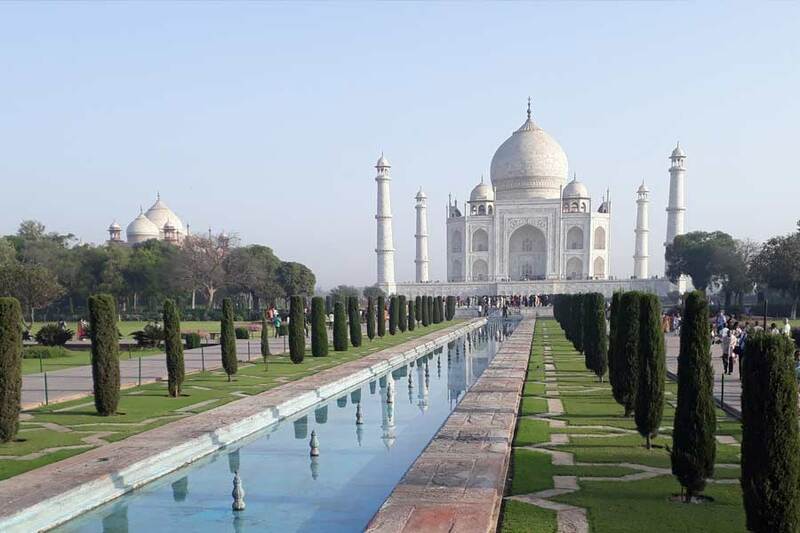 After having breakfast at the hotel, our company representative will transfer you to the car to leave for Agra. En Route, you will visit Fatehpur Sikri- is the best preserved collection of Indian Mughal architecture in India and was the capital of Mughal empire for around 10 years. This place is a great example of architectural ensembles that were constructed between the year 1571 and 1585. After visiting this place, you will drive again towards Agra and on arrival check-in the hotel for comfortable overnight stay. You will visit Taj Mahal at the time of sunrise to click some wonderful images to cherish this glorious moment for all the years to come. Return to the hotel to have your breakfast and short relax. Later you will visit Agra Fort and drive to Delhi. On arrival check in the hotel for comfortable overnight stay. Have breakfast at the hotel then you will be transferred to the car as you will leave for Delhi airport to board your flight for next destination/home. Copyright © 2018. Rajputana Tours Pvt. Ltd., All Rights Reserved, Powered by Plus 91 Web solutions Pvt. Ltd.